A1C – measures your average blood glucose for the past 2 to 3 months. The advantages of being diagnosed this way are that you don’t have to fast or drink anything. 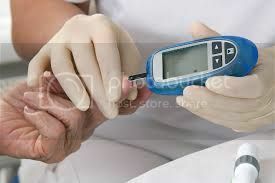 Oral Glucose Tolerance Test – two-hour test that checks your levels before and 2 hours after you drink a special sweet drink. It tells the doctor how your body processes glucose. If you or someone you love is diagnosed with prediabetes then you can delay or prevent a type 2 diabetes diagnosis. Please stay tuned and I will let you know who is at risk for prediabetes and how to hopefully prevent a type 2 diabetes diagnosis.